Start at the very beginning and conduct your own Online Mini-Audit to establish where you are now so you know where to go to market and what must be done! Get to know your Ideal Customer(s) Better than anyone so you can talk directly and connect with conversations about the things that make Them tick. This will help you find out what transformation they want so that you can give them what they need to get there! There are over 4 billion people on the internet worldwide and around 3 billion use social media networks. June 2018 statistics show Facebook has more than 2.2 billion monthly active users. That is more than Whats App (500 million), Twitter (284 million) and Instagram (600 million) combined (Source: CNBC). Since Facebook continues to reign in popularity over other social media channels (for now) we reckon this is a good place to start getting your message out there. Many people are concerned about security, privacy and just being out there, perhaps losing control of who sees your stuff. We show you how your must separate your Business Page from your Personal Profile. Learn how to enhance your personal experience and security on Facebook and administrate your Facebook Business Page from a well managed Personal Profile. Business Page Optimisation Checklist: It is not easy to find anywhere online that will give you a List like this to check that your Page is set up to do Business and make it easy to see what needs attention. 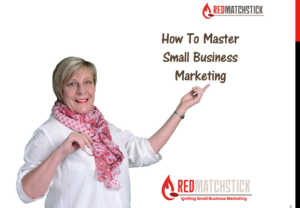 This section will show you how to help your build your business; tell Facebook what your business is ABOUT so it can show your content to the right audience plus provide prospective customers with all the information that they need about you. This training segment will show you how to manage and service user experience as well as security and other settings that will enhance your Page. Marketing is story-telling and yours should interest prospective customers enough to attract them to your Tribe. Learning to write Your Story will be applicable to many marketing platforms, from you website to your introductory elevator speech. Facebook Insights are available to show you what you need to know and track to improve marketing online and increase your Return on Investment. Everything you do can be measured and tested; continuously tweaked and repurposed until you audience responds appropriately and your business grows. Before we get into the HOW TO DO IT, it’s important to understand how the engine room works. Learn how the Facebook Algorithm works and use this to know-how to make your content perform better! Best Practices AKA Disciplines to adopt to be a successful online marketer. Get to use the many different engagement opportunities Facebook gives you to vary up your content and keep things interesting. Learn how to ignite your content with Video particularly Facebook Live! This is a key training. Video is your No. 1. Content and Facebook loves Live. Video marketing is the most engaging content online. Your audience, Google and social media platforms demand it. It is one tactic that can help you achieve objectives at every single stage of your conversion funnel more easily just because it gets Attention! Learn Best Practices to do it without huge cost and on your smartphone. Learn Best Practices to promote your business with images. After video, images are the most engaging content and a single image can tell a whole story. Images can be edited to build your brand, engage your audience, get people to take action whilst being fun, inspiring or informative. This is a fabulous FREE tool I use every day to create image post (plus there are tons of other templates to create other print material) and here I show you a over my shoulder view of my tricks to work smarter. Write captivating Headlines for posts, image captions, email subject lines and blog titles. Writing copy that talks directly to your audience is an important online marketing tactic that many small businesses overlook. It is an important way to grab their Attention, retain their Interest, Build Desire and converts to Action. When it comes to online copy, you need to quickly capture the attention of users if you are going to get clicks through to your Ad or Posts. Headlines significantly impact a person’s decision to stop or if they aren’t intriguing enough, simply keep scrolling. This training is packed with tips and best practices to write engaging copy for Social Media Posts, Email Subject Lines, Blog Titles, Image Captions and Ad Copy. Social Media done right attracts the right people and repels the others. People buy from businesses they Trust. Once your online audience trust you enough to let you into their inner sanctum, you’ve moved to the next step in your marketing strategy – email marketing. While people are on only your preferred social media networks, you have no control over the relationship. An email signup is a micro-commitment, a hint that they want to know more. This final training module is about helping people find your business online by optimising Search, understanding SERPS and your Website ‘must-haves”. Your competitors probably have one so you’re expected to have a website if you are a credible business and it helps people find you. This is your online shopfront that is always open; you are in control of the narrative and what you put out there. You cannot build your business on platforms that you do not own and which may be gone tomorrow. Learn non-technical Website Best Practices. Note: This is NOT a design module but will help you understand the Role of your “Owned” space in your marketing strategy so you can brief your designer more effectively.